Caltech scientists have found, for the first time, that merging pairs of neutron stars—the burnt-out cores of stars that have exploded—create the majority of heavy elements in small "dwarf" galaxies. Heavy elements, such as silver and gold, are key for planet formation and even life itself. By studying these dwarf galaxies, the researchers hope to learn more about the primary sources of heavy elements for the whole universe. The origin of the majority of the heaviest elements of the periodic table, including 95 percent of all gold on Earth, has been debated for decades. It is now known that the heaviest elements are created when the nuclei of atoms in stars capture particles called neutrons. For most old stars, including those residing in the dwarf galaxies in this study, the process happens rapidly and is therefore called an "r-process," where the "r" stands for rapid. There are two favored sites where the r-process is theorized to occur. The first potential site is a rare type of a stellar explosion, or supernova, that produces large magnetic fields—a magnetorotational supernova. The second site is at the merger, or collision, of two neutron stars. In August 2017, the National Science Foundation-funded Laser Interferometry Gravitational-wave Observatory (LIGO) and other ground-based telescopes detected one such neutron star collision in the act of creating the heaviest elements. But witnessing just one event doesn't tell astronomers where the majority of these materials are created in galaxies. To look at heavy element production in galaxies as a whole, the Caltech researchers studied several nearby dwarf galaxies using the W. M. Keck Observatory on Maunakea in Hawaii. While our Milky Way is considered about average in size as far as galaxies go, these dwarf galaxies, which orbit around the Milky Way, have about 100,000 times less mass in stars than the Milky Way. The scientists looked at when the heaviest elements in the galaxies were made. Magnetorotational supernovas tend to occur very early in the universe, while neutron star mergers happen later. The results of the study, submitted for publication in The Astrophysical Journaland presented at a press conference at the 232nd meeting of the American Astronomical Society (AAS) in Denver, provide new evidence that the dominant sources of the r-process in dwarf galaxies occurs on a relatively long timescale—that is, they were created later in the history of our universe. It is this delay in the production of heavy elements that identifies neutron star mergers as the main source of the material. Caltech assistant professor of astronomy and co-author of this study, Evan Kirby, explains: "This study is based on the concept of galactic archeology, which uses the elements present in stars today to 'dig up' evidence of the history of element production in galaxies. Specifically, by measuring the ratio of elements in stars with different ages we are able to say when these elements were created in the galaxy." 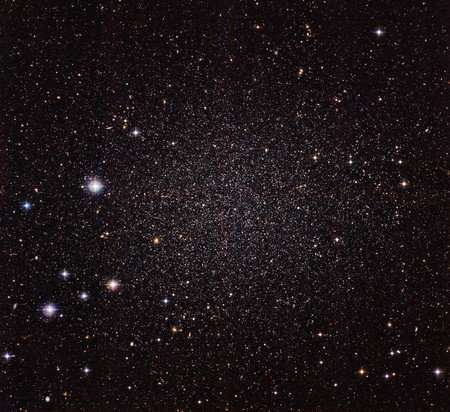 Astronomers often study dwarf galaxies as a way to learn about galaxies in general. Because these galaxies are small, they have less complicated histories that are easier to read than their larger counterparts. "Unlike the Milky Way, which has grabbed stars from other galaxies throughout its history, these dwarf galaxies were isolated when their stars were born, allowing galactic archeology to clearly track the buildup of r-process elements over time," says Caltech graduate student and lead author of the new research, Gina Duggan. "This provides an important clue for the timescale of the dominant source of r-process production across the universe for the first time."